Before you integrate Virtual Office with Zendesk, you must configure your Zendesk agent usernames in their 8x8 user profiles. The process of enabling an agent is different depending on whether your organization is a Virtual Office Editions or Virtual Office Classic customer. If your organization is a Virtual Office Editions customer, you must configure user profiles from Configuration Manager. 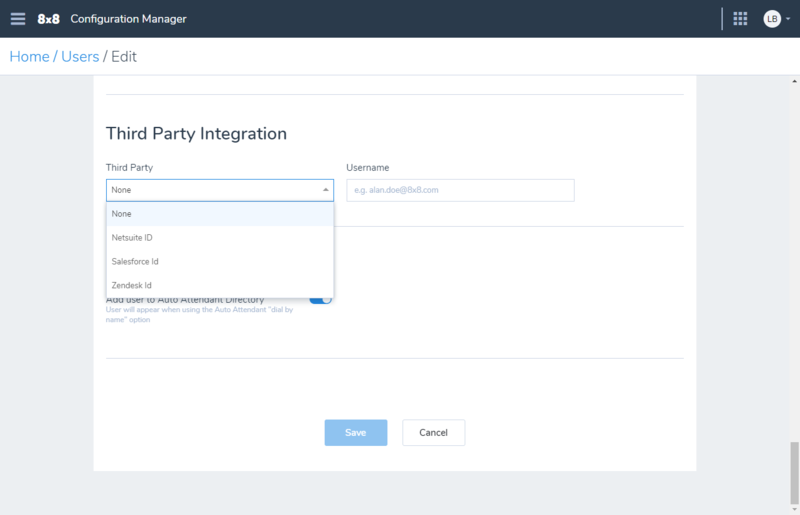 Under Third Party, select Zendesk ID. Enter the user's username as a Zendesk agent. Save your changes to the user, and repeat for each user you want to enable as an agent. 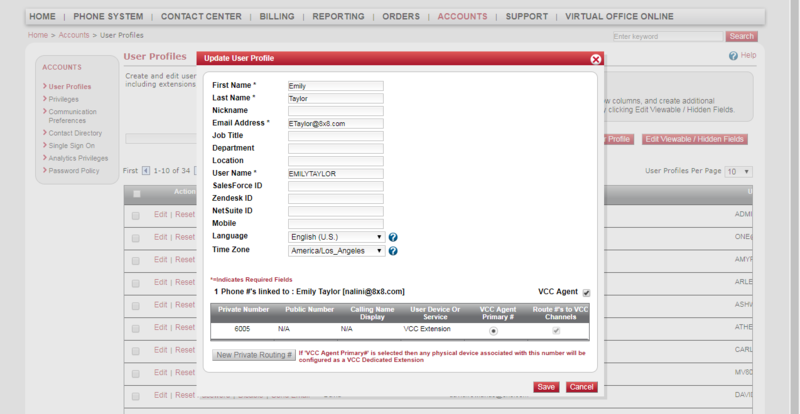 If your organization is a Virtual Office Classic customer, you must configure user profiles from Account Manager. Log in to Account Manager as an administrator. Create a new user, or from the list of existing users, click Edit next to the desired user to view user profile settings. In the user settings, enter the user's username as a Zendesk agent next to Zendesk ID.